Makalu region lies in the eastern part of Nepal. The region is protected by Makalu Barunb National Park established in 1992 which covers an area of 2330 sq km. 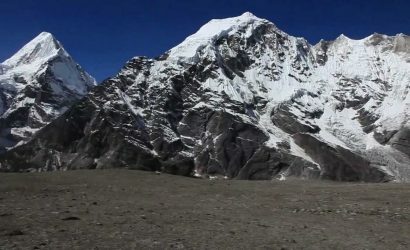 Makalu Barun National Park consists of 16 mountains among which Makalu is the fifth highest mountain in the world and highest in Makalu Region. Makalu Region is blessed with alpine natural beauty and cultural diversity. This region of Nepal receives highest rainfall and snow. The trek to Makalu Region is Campaign Trek and the best time to trek to this region is during October and November. Makalu region has rich diversity of flora and faunas. This region shelters 3000 species of flowering plants, 440 species of birds and 75 species of mammals. Makalu is considered as one of the toughest 8000 peak to climb. The region is inhabited by people of different ethnic groups thus; you can experience different cultures and traditions. You will enjoy walking through lush jungle, valleys and many small and big settlements. Makalu Base Camp Trek is the most popular trek of this region. Base Camp Trekking is a popular activity in Nepal. Nepal is a country with diverse landscapes, topography and cultures. Along with that it is a home to several mountains and also known as ‘country of Mountains. Eight out of fourteen highest peaks in the world are situated here in Nepal with the tallest summit Mt.Everest. Moreover, there are 1310 peaks above 600 meters and more than hundreds of them are opened for climbing. With the base came situated in each 7000m mountains, Nepal is the best destination for base camp trekking. The flow of tourists in Nepal is increasing year by year in Nepal. 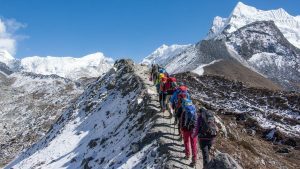 Trekking has been a boon for tourism in Nepal. The most popular base camp trek in Nepal is Everest Base Camp trek. It is situated at an altitude of 5364 meters. Everest Base Camp Trek is regarded as one of the toughest trekking destination in the world. Base Camp Trekking is one of the adventurous activities. It takes you to the isolated trials and also there may be risk of altitude sickness. To avoid this, you need start preparing few months prior to your trek. Also, it is better to consult to your doctor and have proper travel insurance. Base camp trekking also helps to know about the lifestyles and cultures of people living in the mountain regions.